Juvenile localized scleroderma (jLS) is a chronic autoimmune disease, with cutaneous and extra-cutaneous manifestations (ECM) requiring long-term immunosuppressive therapy. Few studies have evaluated the effect of jLS on health-related quality of life (HRQoL). We describe parental HRQoL findings in a multi-center prospective jLS study. A prospective, pilot study of 50 jLS subjects beginning immunosuppressive therapy and followed for 1 year was conducted in 10 Childhood Arthritis and Rheumatology Research Alliance centers. Clinical assessments, treatment effects, and HRQoL measures (including Peds QLTM Family Impact (PedsQLTM FI) reports and ACR functional class) were collected at study visits. Domains of Peds QLTM FI include effect of child’s disease on parental Physical, Emotional, Social and Cognitive Functioning, the family’s Daily Activities, and Family Relationships. The Worry module relates to parental worry about treatment and disease related issues affecting the child and family. Peds QLTM FI scores were analyzed for association with patient characteristics, with change in domain scores over time analyzed by mixed effects models. Dunnett post-hoc tests were used to compare follow-up scores against baseline. Twenty-five subjects completed parental Family Impact QOL data at 0, 6, and 12 month visits. Most were female (68%), Caucasian (88%), had linear subtype (60%), and ECM (84%), and experienced at least one treatment-related adverse effect (72%). Seventeen percent of subjects had ACR global functional > class 1. At all visits, the lowest scores were found in the Peds QLTM FI domains of Worry and Emotional Functioning (Table). Overall, scores for Emotional Functioning, Daily Activities, and Family Relationships improved from 0 to 12 months (p = 0.015- 0.035, Table). Parents of female subjects were more likely to report higher Physical Functioning and lower (worse) Worry scores over time (p <0.0001, 0.0264, respectively). Parents of subjects with ACR class 2 or higher reported lower Daily Activities scores, with improvement in scores over time (p<0.0001). Our study supports the hypothesis that jLS impacts HRQoL. Parents of female subjects were found to worry more about disease issues and treatment, while poorer subject global function impacted family daily activities. Over time, scores improved for parental Emotional Functioning, family Daily Activities, and Family Relationships, possibly related to treatment. Head involvement and ECM were not specifically associated with poorer parental HRQoL scores. Future studies should evaluate the potential impact of jLS on parental and family HRQoL, and how these relate to patient HRQoL to improve long-term management of this disease. Disclosure: V. Sivaraman, None; K. S. Torok, None; M. Moore-Clingenpeel, None; F. Dedeoglu, Novartis, 9; P. Ferguson, None; E. Pope, None; T. G. Mason II, None; M. L. Becker, None; G. Higgins, None; C. E. Rabinovich, None; S. Hong, None; M. Ibarra, None; R. M. Laxer, None; R. Fuhlbrigge, None; K. Stewart, None; M. Punaro, None; S. Li, None. Sivaraman V, Torok KS, Moore-Clingenpeel M, Dedeoglu F, Ferguson P, Pope E, Mason TG II, Becker ML, Higgins G, Rabinovich CE, Hong S, Ibarra M, Laxer RM, Fuhlbrigge R, Stewart K, Punaro M, Li S. Impact of Juvenile Localized Scleroderma on Longitudinal Quality of Life [abstract]. Arthritis Rheumatol. 2018; 70 (suppl 10). 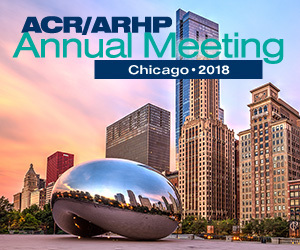 https://acrabstracts.org/abstract/impact-of-juvenile-localized-scleroderma-on-longitudinal-quality-of-life/. Accessed April 18, 2019.